If we perform your fire extinguisher inspection and if you are not 100% satisfied with our service within 30 days, we will redo the service for free, if you are stil not satisfied we will refund you 100% of the money you paid for the service. Why would we make this ridiculous offer? First of all our competition thinks that we are crazy for putting so much trust in you, the customer. But, we trust that you will like our prices so much you will prefer to pay us and lock in a 3 year service agreement. We are honest and trust that our customers are also. This is an incredible offer so, if phones are busy please leave us a message or send us a quick email describing the type of service you need. In addition, for all our customers, if we perform your fire extinguisher inspection, we guarantee you our great a low service price. If you find a better legitiamate price we will beat it. *Some restrictions apply. See below for restrictions. 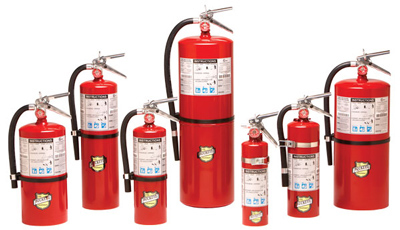 *Offer good for up to 8 fire extinguisher inspected in one location for first service only. Limited to New York, NY, Newark, NJ, Los Angeles, area only. Only customers that pay the price we bill within 30 days are qualified to sign a 3 year service agreement at this guaranteed low price. Other restrictions may apply and offer subject to change without notification. We may refuse service to any customer for whatever reason. We are honest and trust that you are also. Companies not in business at the location for at least 2 years must sign 3 year service agreement in order to qualify for this offer. Offer limited in inspection of fire extinguishers only and does not include any repairs, replacement, or other addtional labor not included in basic fire extinguisher inspection.